Reporting to Secretary of State, Karen Bradley, Mr Penrose replaces Shailesh Vara, who last week resigned over the draft EU Withdrawal Agreement. Mr Penrose has been the Conservative Party’s Member of Parliament for Weston-super-Mare since 2005 was last in Government as the Minister for Constitutional Reform in David Cameron's Government until July 2016. Prior to that, he was the Lord Commissioner to the Treasury and a Minister for Tourism and Heritage. Before entering Parliament, among Mr Penrose’s previous jobs was in publishing, and latterly working for the conservative think-thank the Bow Group. 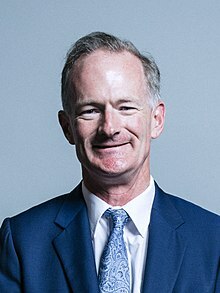 The NIO’s spokesperson in the House of Lords, Lord Duncan, remains in post.